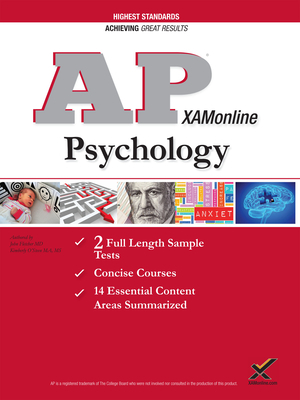 XAMonline's AP Psychology is focused on the quality of the two sample tests and a full detailed review of essential information of content review. When there is so much to know you need a no-fluff approach that is standards based. The true to format sample tests are unique to the individual test. The quality of information presented often uses tables and charts so you do not have to wade through a wordy guide and can get right to the point with the most efficiency.